Looking for a restaurant with traditional homemade Austrian food, but don't know where to go? We welcome you with open arms and tasty dishes at our restaurant Gumpendorfer Stube, where you can enjoy great food and an authentic atmosphere. Spend a peaceful evening in our open, relaxed outdoor seating area. Our Austrian cuisine offers you authentic traditional dishes to enjoy. 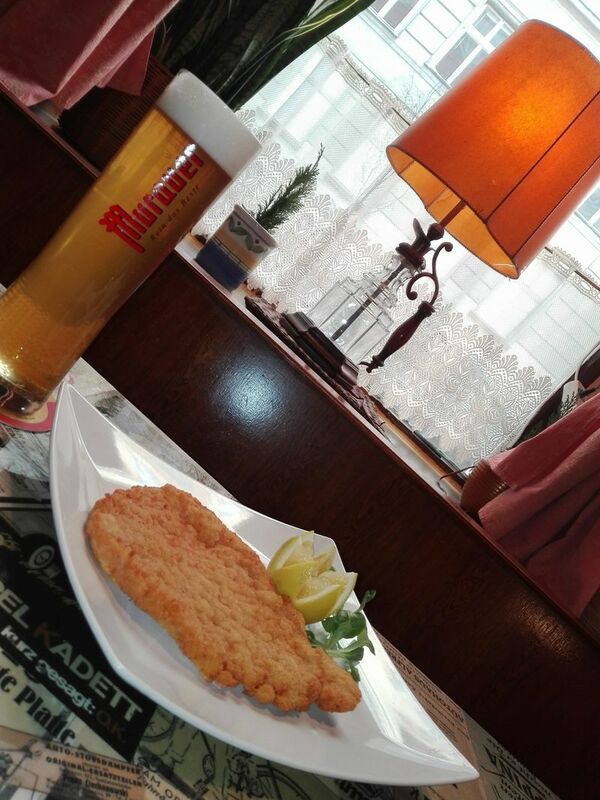 To get the most of our popular schnitzel dishes, we suggest pairing it with a drink. You can indulge in our heavenly desserts any time or as a dessert to finish off your meal. It's our passion to serve you only the best – so stop by for an unforgettable lunch or dinner. Stay connected while you relax using our free WiFi. For our guest who like to smoke a cigarette once in a while, we have a comfortable smoking area. We also offer our diners vegetarian dishes – we look forward to catering to your needs. We'd like to make it as easy as possible for you to have a stress-free dining experience – your health, and tastebuds, are our number one priority. There's also no need to leave your furry friend at home, we're animal friendly. You can reserve a table with us and have peace of mind that your dinner will go as planned. Contact us directly via e-mail info@gumpendorferstube.at or telephone by calling +4315857667 to make a reservation. You can pay using AMEX, debit card, contactless payments, MasterCard, VISA or vouchers. Of course, we also accept cash payments. All our meals can also be ordered to go. Interested in a catering service? Then just get in touch with us today to find out more. If you're hosting a private event at our location, you can contact us for further information. We're open 5 days a week from 11:00 to 21:00, we're closed on Saturdays and Sundays.